How do you combine a seating furniture with a playobject? 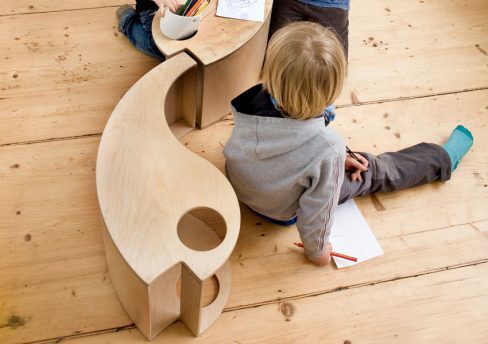 The form of this seating furniture looks like a fish or a bird depending on how you look at it. 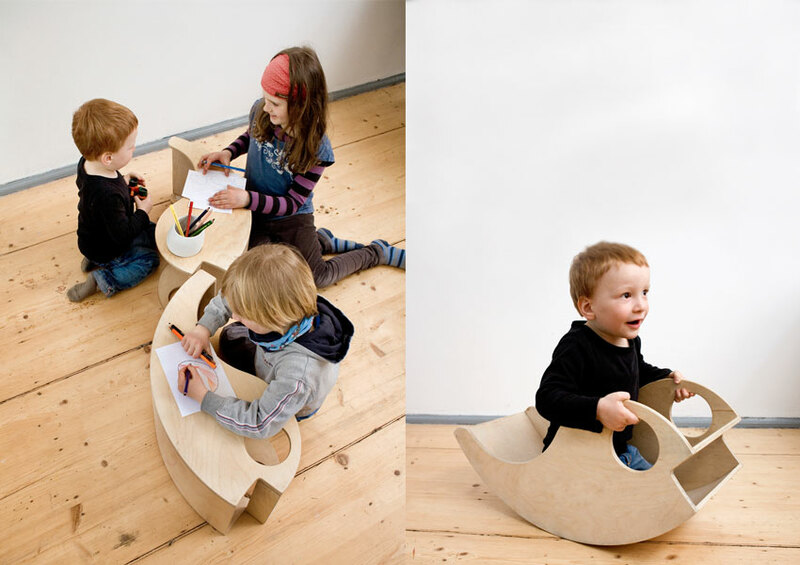 Is it a stool, a bench, a table, a glide, a seesaw or a rocker? It can be everything, if we put the object upside down and look at it from different perspectives. The variety of this object is part of the concept.